This paper is dealing with a time-frequency modeling method of electromagnetic (EM) near-field (NF) radiated by electronic devices excited by transient pulse signals. The model developed enables to calculate the EM NF maps at different distances from the given device and also the synthesis of radiation sources enabling to reproduce the field maps. The method proposed is based on the ultra wide band (UWB) frequency model of EM NF maps. The number of EM NF maps can be reduced by considering an innovative algorithm in order to establish simply the dipole model. Then, the transient model can be realized by considering the convolution between the transient excitation signals and the dipole-array model. The method proposed was validated by a standard 3D EM tool with a planar microstrip device excited by microwave signal modulating 1.25-GHz-carrier with 0.5-GHz-bandwidth. As expected, good correlation is found between results from simulation and the investigated modelling method. The method introduced in this paper is particularly useful for the investigation of time-domain emissions for EMC applications by considering transient EM interferences (EMIs). T. Yang, Y. Bayram and J. L. Volakis, "Hybrid Analysis of Electromagnetic Interference Effects on Microwave Active Circuits Within Cavity Enclosures," IEEE Trans. EMC, Vol. 52, No. 3, pp. 745-748, Aug. 2010. B. Archambeault, C. Brench and S. Connor, "Review of Printed-Circuit-Board Level EMI/EMC Issues and Tools," IEEE Tran. EMC, Vol. 52, No. 2, pp. 455-461, May 2010. B. Revol, J. Roudet, J. L. Schanen and P. Loizelet, "EMI study of a three phase inverter-fed motor drives," Proc. IEEE IAS Annual Meeting 2004, Vol. 4, pp. 2657-2664, 3-7 Oct. 2004. F. de Daran, J. Chollet-Ricard, F. Lafon and O. Maurice, "Prediction of the field radiated at one meter from PCB's and microprocessors from near EM field cartography," Proc. IEEE Int. Symp. EMC, Istanbul, Turkey, pp. 479–482, May 2003. D. Vye, "EMI by the dashboard light," Microwave Journal, Vol. 54, No. 7, pp. 20-23, Jul. K. Aunchaleevarapan, K. Paithoonwatanakij, W. Khan-ngern and S. Nitta, "Novel method for predicting PCB configurations for near-field and far-field radiated EMI using a neural network," IEICE Tran. Commun., Vol. E86-B, No. 4, pp. 1364–1376, Apr. 2003. J. J. Laurin, Z. Ouardhiri and J. Colinas, "Near-field imaging of radiated emission sources on printed-circuit boards," Proc. IEEE Int. Symp. EMC, Vol. 1, pp. 368–373, Aug. 2001. P.-A. Barriere, J.-J. Laurin and Y. Goussard, "Mapping of Equivalent Currents on High-Speed Digital Printed Circuit Boards Based on Near-Field Measurements," IEEE Tran. EMC, Vol. 51, No. 3, pp. 649 - 658, Aug. 2009. T. Ostermann and B. Deutschmann, "TEM-cell and surface scan to identify the electromagnetic emission of integrated circuits," Proc. of 13th ACM Great Lakes Symp. VLSI, Washington, DC, USA, pp. 76–79, 2003. T. Hubing, "Ensuring the Electromagnetic Compatibility of Safety Critical Automotive Systems," Invited Plenary Speaker at the 2011 APEMC, Jeju, S. Korea, May 2011. S. Chen, T. W. Nehl, J.-S. Lai, X. Huang, E. Pepa, R. De Doncker and I. Voss, "Towards EMI prediction of a PM motor drive for automotive applications," Proc. 18th Annual IEEE Applied Power Electronics Conference and Exposition, APEC'03, Orlando, FL, USA, Vol. 1, pp. 14-22, 9-13 Feb. 2003. M. Wiles, "An overview of automotive EMC testing facilities," Automotive EMC Conference 2003, Milton Keynes, UK, Nov. 6, 2003. J. Shin, "Automotive EMC standards and testing," Tutorial Workshop Digests on "Introduction to Automotive EMC Testing" at the 2011 APEMC, Jeju, S. Korea, May 2011. C. D. Taylor, R. S. Sattewhite and C. W. Harrison, "The response of a terminated two-wire transmission line excited by a nonuniform electromagnetic field," IEEE Tran. Ant. Prop., Vol. 13, No. 6, pp. 987-989, Nov. 1965. A. K. Agrawal and H. J. Price, "Transient response of multiconductor transmission lines excited by a non uniform electromagnetic field," IEEE Tran. Ant. Prop., Vol. 18, pp. 432- 435, Jun. 1980. F. Rachidi, "Formulation of the field to transmission line coupling equations in terms of magnetic excitation field," IEEE Tran. EMC, Vol. 35, no. 3, pp. 404-407, Aug. 1993. L. Paletta, J. P. Parmantier, F. Issac, P. Dumas and J. C. Alliot, "Susceptibility analysis of wiring in a complex system combining a 3-D solver and a transmission-line network simulation," IEEE Tran. EMC, Vol. 44, No. 2, pp. 309-317, May 2002. S. Atrous, D. Baudry, E. Gaboriaud, A. Louis, B. Mazari and D. Blavette, "Near-field investigation of the radiated susceptibility of printed circuit boards," Proc. of 2008 Int. Symp. on EMC Europe, Hamburg, Germany, 8-12 Sep. 2008. C. Leseigneur, P. Fernandez-Lopez, C. Arcambal, D. Baudry and A. Louis, "Near-field coupling model between electronic systems and transmission line," Proc. IEEE Int. Symp. EMC, Fort Lauderdale, FL, USA, pp. 22-27, 25-30 Jul. C.-N. Chiu and C.-C. Yang, "A solution for increasing immunity against the influence of ground variations on a board integrated GPS antenna", Progress In Electromagnetics Research (PIER) C, Vol. 15, pp. 211-218, 2010. 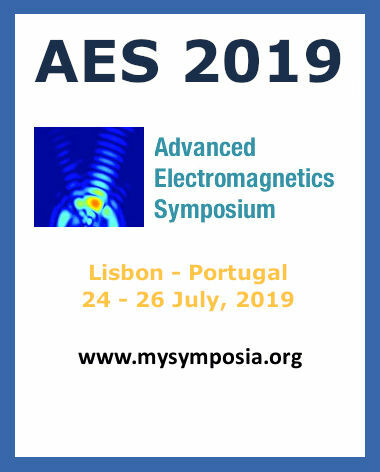 E. R. Rajkumar, B. Ravelo, M. Bensetti, and P. Fernandez-Lopez, "Application of a hybrid model for the susceptibility of arbitrary shape metallic wires disturbed by EM near-field radiated by electronic structures," Progress In Electromagnetics Research (PIER) B 37, pp. 143-169, 2012. E. R. Rajkumar, B. Ravelo, M. Bensetti, Y. Liu, P. Fernandez-Lopez, F. Duval and M. Kadi, "Experimental study of a computational hybrid method for the radiated coupling modelling between electronic circuits and electric cable", International Journal of Advanced Engineering Technology (IJAET), Vol. 3, No. 1, pp. 1-15, Mar. 2012. Z. Song, S. Donglin, F. Duval, A. Louis and D. Fei, "A Novel Electromagnetic Radiated Emission Source Identification Methodology," Proc Asia-Pacific Symposium on EMC (APEMC), Pekin, China, April 12-16 2010. D. Baudry, F. Bicrel, L. Bouchelouk, A. Louis, B. Mazari, and P. Eudeline, "Near-field techniques for detecting EMI sources," Proc. IEEE Int. Symp. on EMC, Santa Clara, CA, USA, Vol. 1, pp. 11-13, Aug. 2004. D. Baudry, L. Bouchelouk, A. Louis, and B. Mazari, "Near-field test bench for complete characterization of components radiated emission," Proc. EMC Compo 2004 conference, Angers, France, pp. 85-89, Apr. 2004. D. Baudry, C. Arcambal, A. Louis, B. Mazari and P. Eudeline, "Applications of the Near-Field Techniques in EMC Investigations," IEEE Tran. EMC, Vol. 49, No. 3, pp. 485-493, Aug. 2007. D. Baudry, A. Louis, and B. Mazari, "Characterization of the open ended coaxial probe used for near field measurements in EMC applications," Progress in Electromagnetics Research, PIER, Vol. 60, pp. 311–333, 2006. Y. Vives-Gilabert, C. Arcambal, A. Louis, F. Daran, P. Eudeline and B. Mazari, "Modeling Magnetic Radiations of Electronic Circuits using Near-Field Scanning Method," IEEE Tran. EMC, Vol. 49, No. 2, pp. 391-400, May 2007. Y. Vives-Gilabert, C. Arcambal, A. Louis, P. Eudeline and B. Mazari, "Modeling Magnetic Emissions Combining Image Processing and an Optimization Algorithm," IEEE Tran. EMC, Vol. 51, No. 4, pp. 909-918, Nov. 2009. P. Fernandez Lopez, A. Ramanujan, Y. Vives Gilabert, C. Arcambal, A. Louis, and B. Mazari, "A radiated emission model compatible to a commercial electromagnetic simulation tool," in Proc. of 20th Int. EMC Zurich Symp., pp. 369-372, Zurich, Switzerland, Jan. 2009. P. Fernández-López, C. Arcambal, D. Baudry, S. Verdeyme and B. Mazari, "Radiation Modeling and Electromagnetic Simulation of an Active Circuit," Proc. EMC Compo'09, Toulouse, France, Nov. 17-19 2009. P. Fernandez-Lopez, C. Arcambal, D. Baudry, S. Verdeyme, and B. Mazari, "Simple Electromagnetic Modeling Procedure: From Near-Field Measurements to Commercial Electromagnetic Simulation Tool," IEEE Tran. Instrum. Meas., Vol. 59, No. 12, pp. 3111-3120, Dec. 2010. C. E. Baum, "Emerging Technology for Transient and Broad-Band Analysis and Synthesis of Antennas and Scaterrers," Interaction Note 300, Proc. of IEEE, pp. 1598-1616, Nov. 1976. R. Jauregui, M. Pous, M. Fernández and F. Silva "Transient Perturbation Analysis in Digital Radio," Proc. IEEE Int. Symp. EMC, Fort Lauderdale, Florida, USA, pp. 263-268, Jul. 25-30 2010. T. Ordas, M. Lisart, E. Sicard, P. Maurine and L. Torres, " Near-Field Mapping System to Scan in Time Domain the Magnetic Emissions of Integrated Circuits," Proc. PATMOS' 08: Int. Workshop on Power and Timing Modeling Optimization and Simulation, Ver. 1-11, 2009. W. Winter and M. Herbrig, "Time Domain Measurement in Automotive Applications," Proc. IEEE Int. Symp. EMC, Austin, Texas, USA, pp. 109-115, Aug. 17-21 2009. S. Braun, E. Gülten, A. Frech and P. Russer, "Automated Measurement of Intermittent Signals using a Time-Domain EMI Measurement System," Proc. IEEE Int. Symp. EMC, Austin, Texas (USA), pp. 232-235, Aug. 17-21 2009. J. Rioult, D. Seetharamdoo and M. Heddebaut, "Novel Electromagnetic Field Measuring Instrument with Real-Time Visualization," Proc IEEE Int. Symp. EMC, Austin, Texas (USA), pp. 133-138, Aug. 17-21 2009. D. D. Ebenezer and P. R. Stepanishen, "A wave-vector-time-domain technique to determine the transient acoustic radiation loading on cylindrical vibrators in an inviscid fluid with axial flow," The Journal of the Acoustical Society of America, Vol. 89, No. 1, pp. 39-51, 1991. R. Rammal, M. Lalande, E. Martinod, N. Feix, M. Jouvet, J. Andrieu and B. Jecko, "Far Field Reconstruction from Transient Near-Field Measurement Using Cylindrical Modal Development", Int. J. Ant. Prop., Hindawi, Article ID 798473, 7 pages, Vol. 2009. S. P. Skulkin, "Near-field measurements in the time domain", Precision Electromagnetic Measurements Digest 1996, Braunschweig, Germany, pp. 428. T. Stadtler, L. Eifler and J. L. Ter Haseborg, "Double probe near field scanner, a new device for measurements in time domain," Proc of IEEE Int. Symp. EMC TU, Hamburg-Harburg, Hamburg, Germany, pp. 86-90, 1, Aug. 2003. R. Cicchetti, "Transient Analysis of Radiated Field from Electric Dipoles and Microstrip Lines," IEEE Tran. Ant. Prop., Vol. 39, No. 7, pp. 910-918, Jul. 1991. Y. Liu, B. Ravelo, P. Fernandez-Lopez, D. Baudry and J. Ben Hadj Slama, "Near-field/near-field transform in frequency domain with PWS method", Proc. 5th International Conference on Electromagnetic Near-Field Characterization and Imaging (ICONIC) 2011, Rouen, France, Nov. 30 – Dec. 2 2011. B. Ravelo, Y. Liu and J. B. H. Slama, "Time-Domain Planar Near-Field/Near-Field Transforms with PWS Method", Eur. Phys. J. Appl. Phys. (EPJAP), Vol. 53, No. 1, Feb. 2011, 30701-pp. 1-8. Y. Liu, B. Ravelo and J. 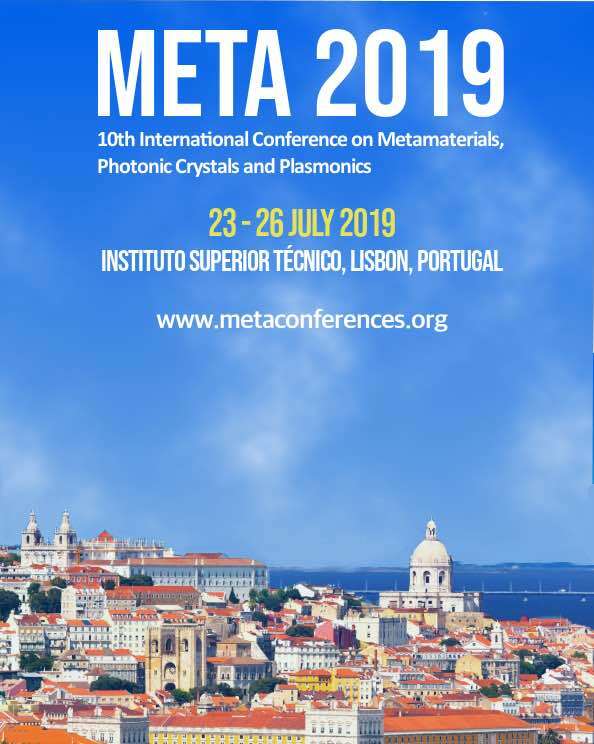 B. H. Slama, "On the Time-Domain Near-Field Radiation with PWS Method", Proc. Advanced Electromagnetics Symposium (AES) 2012, Paris, France, April 16-19 2012. H. R. Hertz, "Untersuchungen ueber die Ausbreitung der Elektrischen Kraft," (in German) Johann Ambrosius Barth, Leipzig, Germany, 1892. C. E. Baum, "Some Characteristics of Electric and Magnetic Dipole Antennas for Radiating Transient Pulses," Sensor and Simulation Note 405, Jan. 71. B. K. Singaraju and C. E. Baum, "A Simple Technique for Obtaining the Near Fields of Electric Dipole Antennas from Their Far Fields," Sensor and Simulation Note 213, Mar. 76. J. Song and K.-M. Chen, "Propagation of EM Pulses Excited by an Electric Dipole in a Conducting Medium," IEEE Tran. Ant. Prop., Vol. 41, No. 10, pp. 1414-1421, 1993. Lakhtakiaa, V. K. Varadana and V. V. Varadana, "Time-Harmonic and Time-Dependent Radiation by Bifractal Dipole Arrays," Int. J. Electronics, Vol. 63, No. 6, pp. 819-824, Dec. 1987. H. G. Schantz, "Electromagnetic Energy around Hertzian Dipoles," IEEE Tran. Ant. Prop. Magazine, Vol. 43, No. 2, pp. 50-62, Apr. 2001. W. Jun-Hong, J. Lang and J. Shui-Sheng, "Optimization of the Dipole Shapes for Maximum Peak Values of the Radiating Pulse," Proc. IEEE Tran. Ant. Prop. Society Int. Symp., Vol. 1, pp. 526-529, 1997. V. I. Selin, "Asymptotics of the Electromagnetic Field Generated by a Point Source in a Layered Medium," Computational Mathematics and Mathematical Physics, Vol. 41, No. 6, pp. 915-939, 2001. W. C. Chew and J. A. Kong, "Electromagnetic field of a dipole on a two-layer earth," Geophysics, Vol. 46, No. 3, pp. 309-315, Mar. 1981. S. I. Smagin and V. N. Mazalov, "Calculation of the Electromagnetic Fields of Dipole Sources in Layered Media," Doklady Physics, Vol. 50, No. 4, pp. 178-183, Apr. 2005. J. C.-E. Sten and A. Hujanen, "Aspects on the Phase Delay and Phase Velocity in the Electromagnetic Near-Field," Progress In Electromagnetics Research (PIER), Vol. 56, pp. 67-80, 2006. A. Lakhtakiaa, V. K. Varadana and V. V. Varadana, "Time-harmonic and time-dependent radiation by bifractal dipole arrays," Int. J. Electronics, Vol. 63, No. 6, pp. 819-824, Dec. 1987. I. P. Kozlov, "Electromagnetic fields in planar-layered media close to a zero of the permittivity," J. Comm. Technol. Electron., Vol. 45, No. 5, pp. 496-502, 2000. M. Birsan, "Low-frequency transient (time domain) electromagnetic fields propagating in a marine environment," Int. J. Numerical Modelling, Devices and Fields, Vol. 17, No. 3, pp. 325-333, Apr. 2004. Y. Liu and B. Ravelo, "Calculation of Electrical Field from Magnetic Near-Field with PWS Method in Time-Domain", Proc. 16ème Colloque international sur la compatibilité électromagnétique (CEM2012), 25-27 Avril 2012, Rouen, France. Y. Liu, B. Ravelo, A. K. Jastrzebski, and J. Ben Hadj Slama, "Calculation of the Time Domain z-Component of the EM-Near-Field from the x- and y-Components", Proc. 41st European Microwave Conference (EuMC) 2011, Manchester, UK, Oct. 9-14 2011, pp. 317-320. B. Ravelo, "E-field extraction from H-near-field in time-domain by using PWS method," Progress In Electromagnetics Research (PIER) B, Vol. 25, pp. 171-189, 2010. B. Ravelo, Y. Liu, A. Louis and A. K. Jastrzebski, "Study of high-frequency electromagnetic transients radiated by electric dipoles in near-field", IET Microw., Antennas Propag., Vol. 5, No. 6, pp. 692 - 698, Apr. 2011.